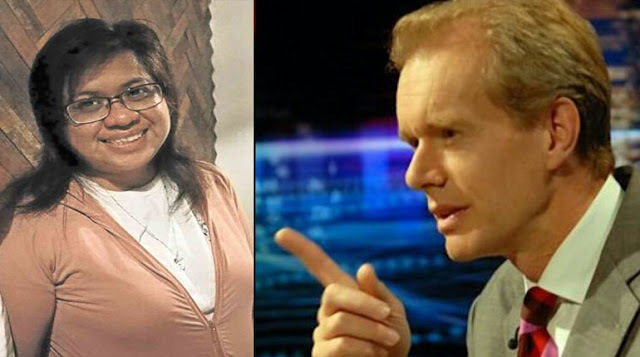 The long awaited interview between Stephen Sackur and Jover Laurio finally took place on April 1, 2018. Laurio herself was soon featured on BBC HardTalk where she unfortunately failed to answer a lot of questions that Sackur had raised on her. Sackur started raising some questions behind the Pinoy Ako Blog and started asking her, "You claim to fight against fake news, yet why is it that your blog is full of unverified information. How can you fight fake news while spreading it at the same time?" The question got her defensive to the max where she said only idiots call her blog a source of fake news. The whole interview itself went from bad to worse. Laurio even started throwing tantrums when Sackur asked, "You want to sue RJ Nieto for unmasking you, yet you forcibly unmasked him. Why is it that you want to sue someone like Franco Mabanta for saying you are ugly. Isn't this already a misuse and abuse of your free speech? Many elected President Duterte and love him - yet you want him unseated. Isn't this too strange for a democrat?" Laurio then answered, "No sir, I'm not a democrat. I'm from the Liberal Party." Sackur then ended up mentioning the same way Senator Antonio F. Trillanes IV answered the question. The whole session was cut short due to Laurio cussing at Sackur. It was later discovered that Laurio was last seen going to the International Criminal Court hoping to sue Sackur. Sackur only said, "Go ahead! You will just make a fool out of yourself!" ICC is now very desperate and derailed with no specific and direct direction. The thing is called survival phase of ICC and results to such behavior as tantrums etc.